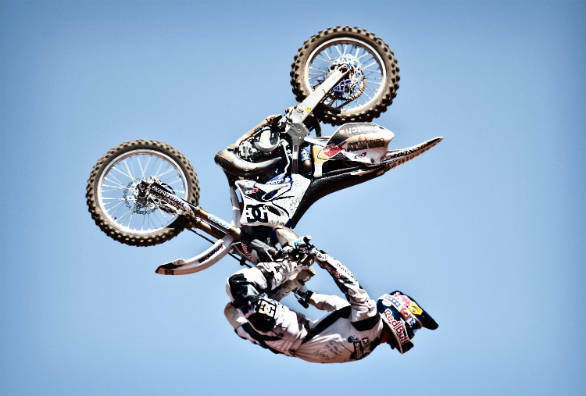 OVERDRIVE caught up with Robbie Maddison, a legend in the world of stunt riding and FMX, ahead of the Red Bull FMX Jam being held on Saturday, February 2 at the Gateway of India, Mumbai. 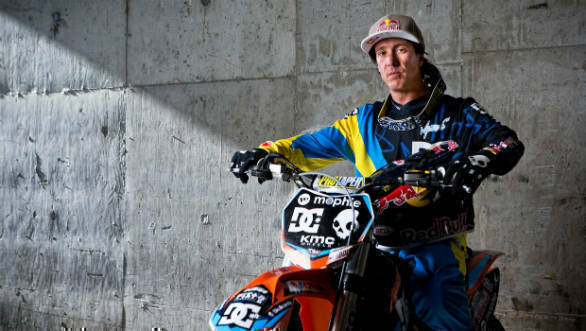 Here's him talking to us about the sport he loves so much, and his journey in the world of freestyle motocross. 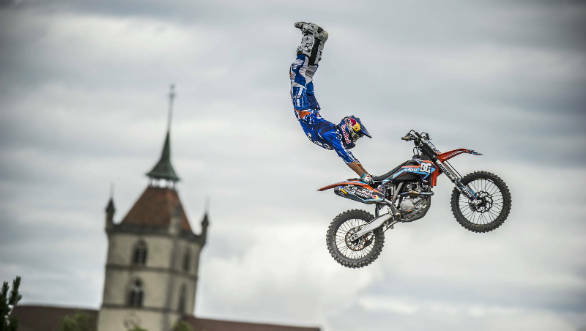 OVERDRIVE: How did you choose a career as a freestyle/stunt rider? Robbie Maddison: I grew up riding and loving motocross, my Dad rode dirt bikes, the people around us all rode dirt bikes, so I fell in love with them. I rode bikes from the ages of 6 to 16, and eventually it became the dream lifestyle choice for me. I was mesmerised by the pure sight of it. OD: Can you tell us more about why you are coming to India? RM: I'm coming out to ride an FMX show with my freestyle friends who just happen to be some of the finest riders the world has to offer. I am also going to be looking at some local destinations to potentially return to film a video to put India in the spotlight of the action sports world on a global level. OD: How do stunt riding and motorsport go together? RM: I guess they feed off each other, vehicle stunt people generally have a motorsports background and then they find a unique specialty. 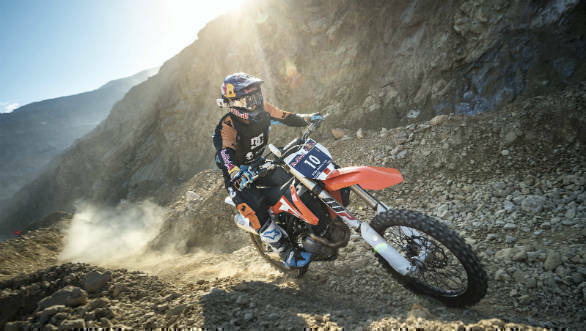 They follow this path and specialise in doing certain stunts using the same equipment motorsports athletes use to compete. OD: How do you train for FMX? How much of it requires you to be mentally strong? RM: The training for FMX takes more physical flexibility and a different, more risk accepting mindset. I work my core a lot because this is the part of the body that gets abused in FMX. I also generally do body weight workouts but the movements are specific to target the areas that require strengthening to keep the body in balance and pain free. OD: Take us through the last hour before you go out for an event. RM: Relaxing, stretching, lots of water, a light snack, banana some protein and some electrolytes. Then I sit and mentally picture what I am about to do. You would think it is, but I feel this sport has been tainted in the western world with corrupt judging, biased results which have led to the masses looking past it and its popularity has declined in recent years. I feel it is due to these specific reasons and promoters who don't have the athletes best intentions as the number one priority which has let to these unattractive results and declining popularity. OD: Where do you think stunt-riding is headed as a sport? RM: I am not sure; I feel it will always have a presence but as its popularity grows with no governing body, the performance terms continue to decline, making a profession in this industry continually more challenging. OD: What is the scope for this in India? OD: You've been called the Evel Knievel of this generation? Is that apt? You've achieved most things possible in this sport, what's next? RM: I feel it's fitting to be compared to the man himself, I have done everything in my power to push the limits and take the bar from where Evel left it and take it to new heights, in his honour, recognising him and inspired by him.